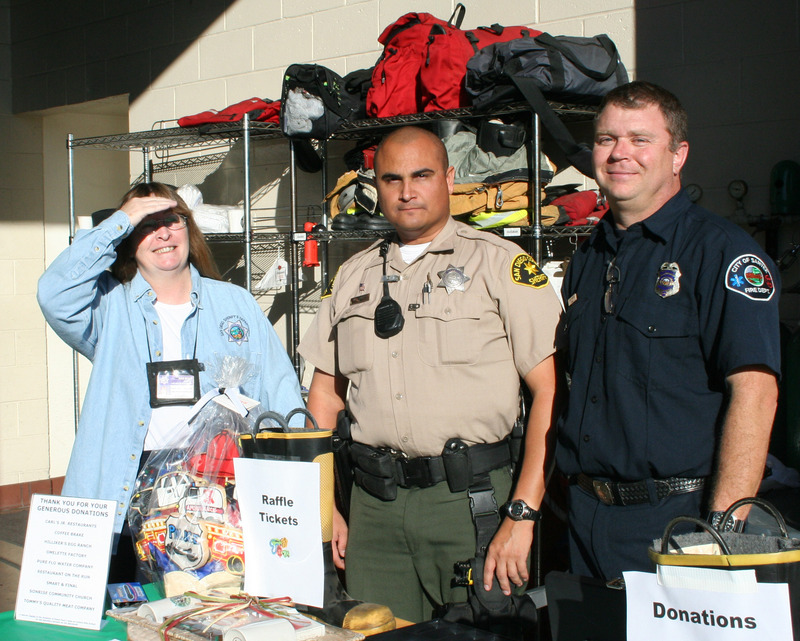 The Santee Sheriff’s Station will be hosting the National Night Out event on Tuesday, August 4, from 5:00-7:30 pm at Woodglen Vista Park. They will have information about MADD, 9-1-1, fire prevention, drug prevention, and dealing with bullying, domestic violence, and crime. There will also be fun activities for kids, SPARC will have hot dogs and chips, Shred-It will be there to dispose of your unwanted documents, and Farmers Insurance will have digital ID kits. For more information, contact Alyssa Dean, Crime Prevention Specialist, at 619-956-4021. 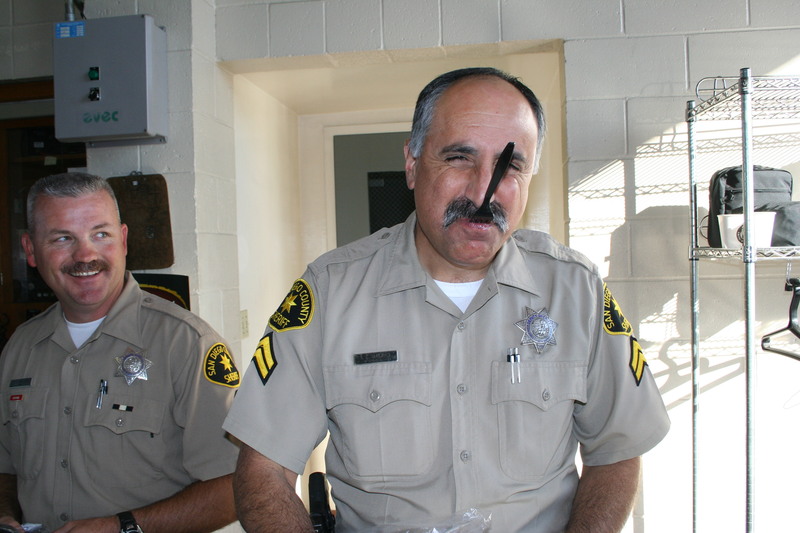 SANTEE SHERIFFS DEPARTMENT NEEDS YOUR HELP!! On December 29th at 10:00pm near the Arbors Apartments (Mast & Magnolia Park Drive) (a block east of 7-11) a group of about 8 young men (in their 20’s) approached 3 high school kids. For no reason, one of the young men assaulted one of the high school kids, causing thousands of dollars of serious facial damage. The young man that attacked the high school kid may have suffered a damaged or cut hand. Santee is a great community, and we all need to work together to keep it that way. If you have any information at all, please let the Sheriffs Department know so that we can keep our community safe. Pancakes and Sausage and Eggs – MMMM, Good! 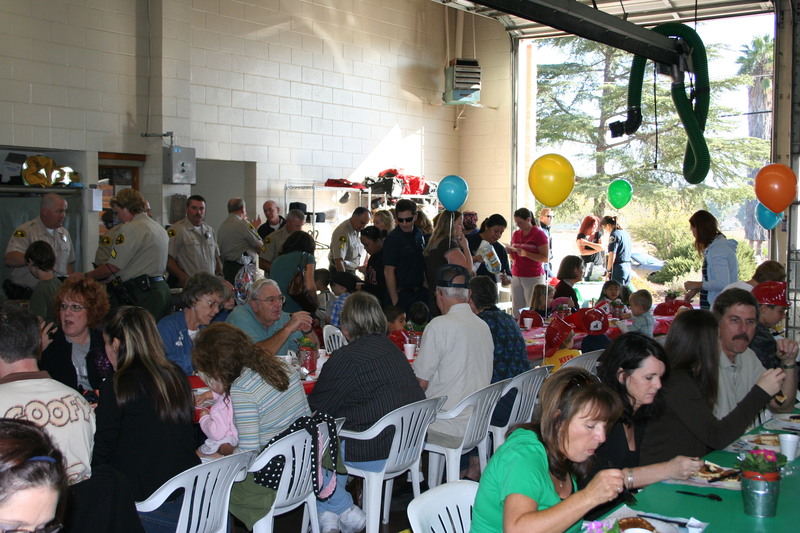 What do you get when you take a hungry community and a group of dedicated firefighters and deputies? 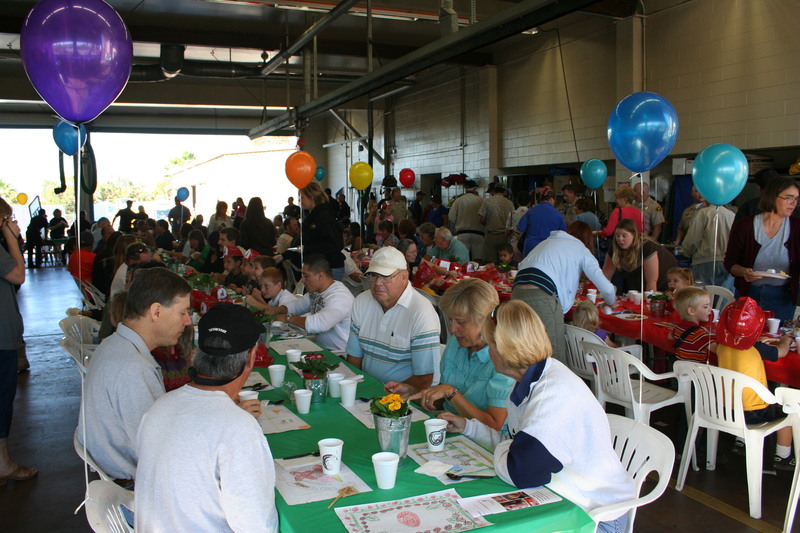 Why, the 10th annual Santee Pancake Breakfast, of course. 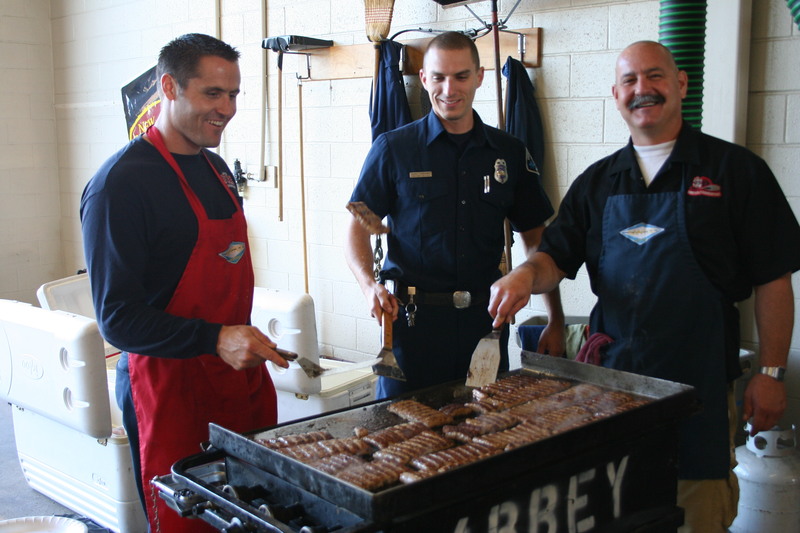 Today was the first of two mornings of great food and fun down at Fire Station #4 on Cottonwood Ave., just north of Mission Gorge Rd. 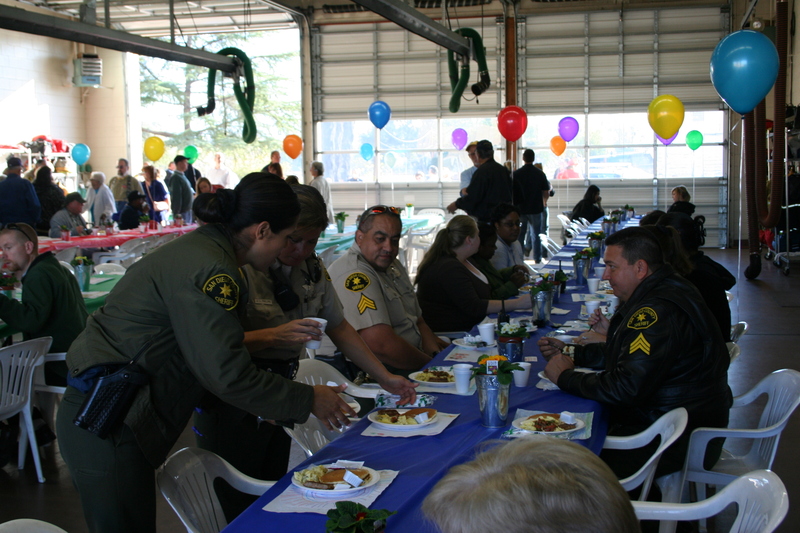 This bash is a fund raiser to benefit needy local families, and leave it to our public safety people to do it right. 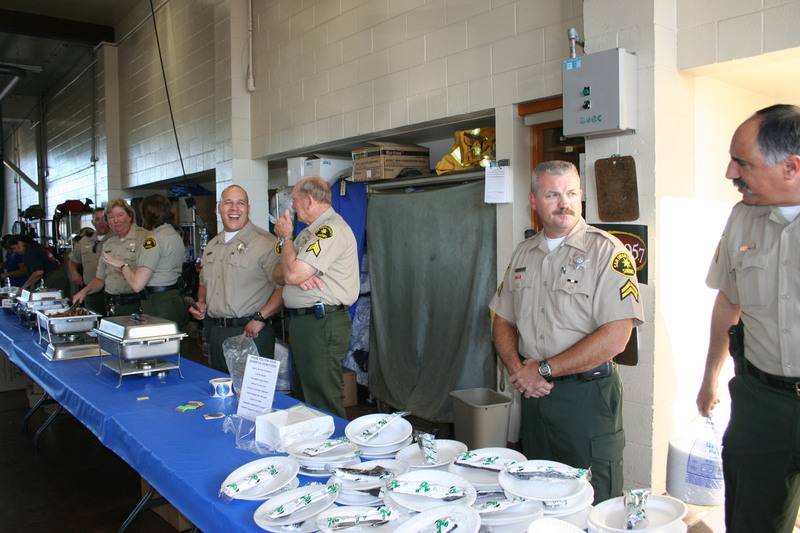 The first thing they did right was to have the deputies serving while the firefighters did the cooking – we all know how well firefighters can “cook.” Besides, who better to direct the crowds than the deputies? And after all, isn’t their job to “serve” the public? Okay, now that I’ve got those jokes out of my system I can go on to the breakfast itself. These Firefighters Know how to Use their Tools – Check out the wrist action! Hey, these are better than Donuts! Don’t try anything – I have a fork and I know how to use it! If you missed today, never fear – just get down there between 7:00am and 10:30pm Saturday. 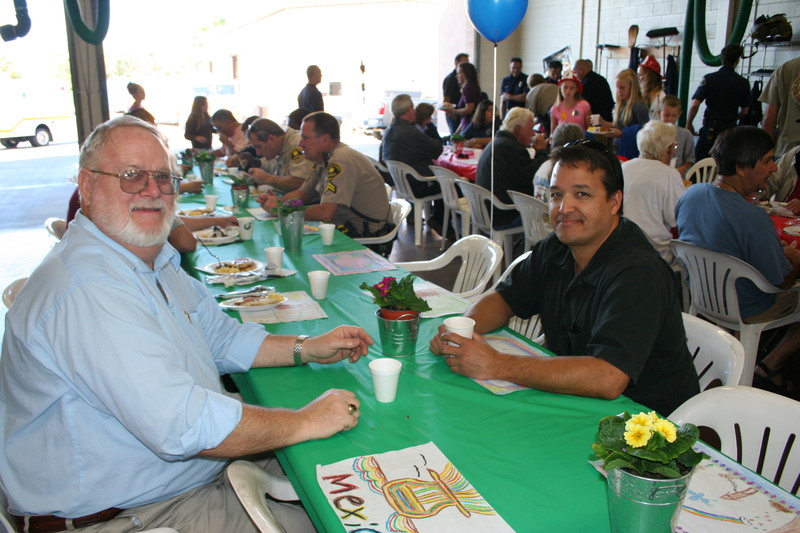 You’ll enjoy the food and you’ll be doing something to help families in Santee. This is a busy weekend here in Santee. 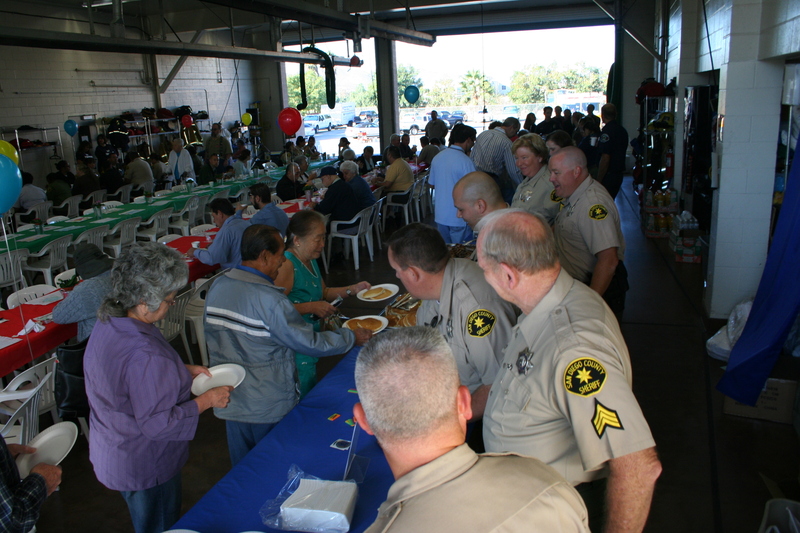 First of all the 10th annual Santee Pancake Breakfast kicks off a two-day run on Friday 11/14 at Santee Fire Station #4 located at 8950 Cottonwood (the corner of Cottonwood and Mission Gorge). Breakfast starts at 7:00am and lasts until 10:30am both Friday and Saturday, and includes pancakes, eggs, sausage, coffee, and juice. 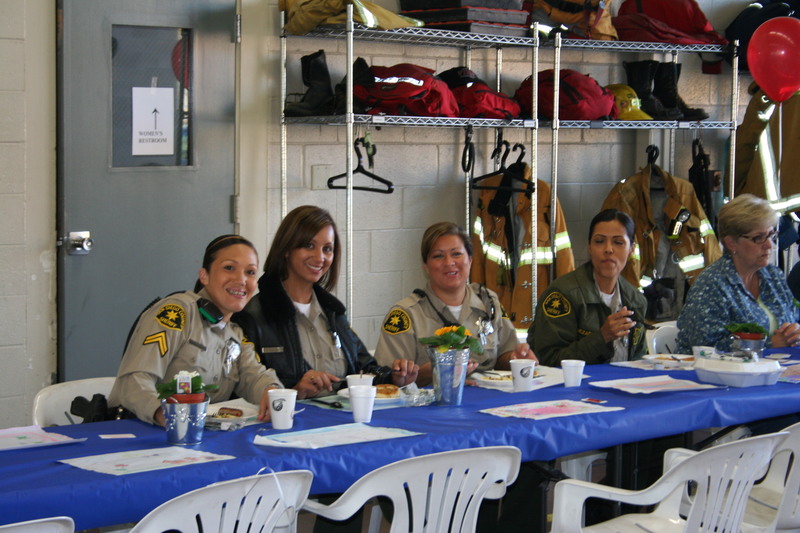 The Breakfast is sponsored by the Santee Firefighters and Santee sheriff’s Department and all proceeds go to help needy families in the community. If you need more information call the Santee Fire Department (619-258-4151) or the Sheriff’s Crime Prevention Unit (619-956-4022). Stop by and help out this great cause. Also this weekend, for Chamber of Commerce members, Costco is having an exclusive shopping event on Saturday 11/15 from 7:45pm to 9:00pm. 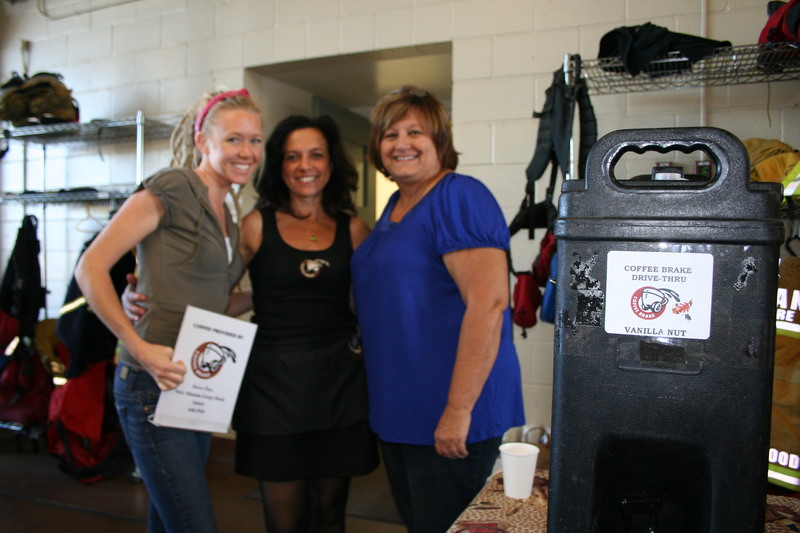 They will have refreshments and lots of gift ideas for you to check out. You must be a Chamber member or guest and a Costco member to take advantage of this event, but there are so many benefits of both that it would be well worth joining them. For more information you can call Patty at 619-562-3227 (ext 240) or the Santee Costco at 619-562-2908. And don’t forget, Trout Season is going strong at Santee Lakes. There were 740 anglers for opening day, with a 10lb 5oz trout coming out of Lake #4 Saturday, and an 11lb 12oz fish coming out of the same lake on Sunday. To see who was catching what, check out the Fishing Report. There were 40 specially tagged trout included in the stocking (good for prizes), and only 3 had been caught as of the most recent posting.